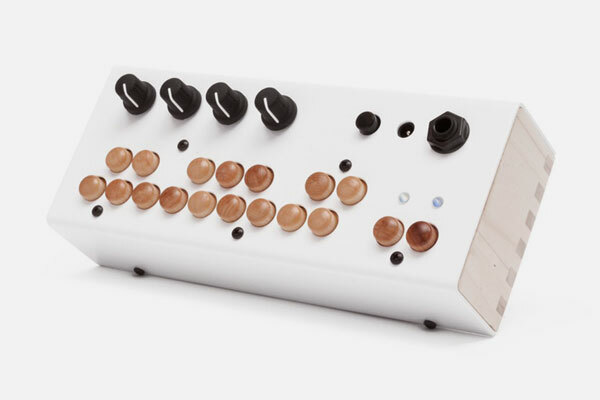 The built-in sequencer lets you quickly create bass lines with the touch of a button. You can even record and playback knob adjustments for things like filter sweeps and changes in delay time or tuning! With the MIDI In and Out jacks you can synchronize your sequences with other devices. The Bolsa Bass also sends and receives note messages so you can use it as a sound module or simple controller. You can record for as long as 90 seconds or 256 notes, whichever comes first.